Pyridoxine is water soluble and thought to be involved in more body processes than any other nutrient, making Vitamin B6 one of the most important. 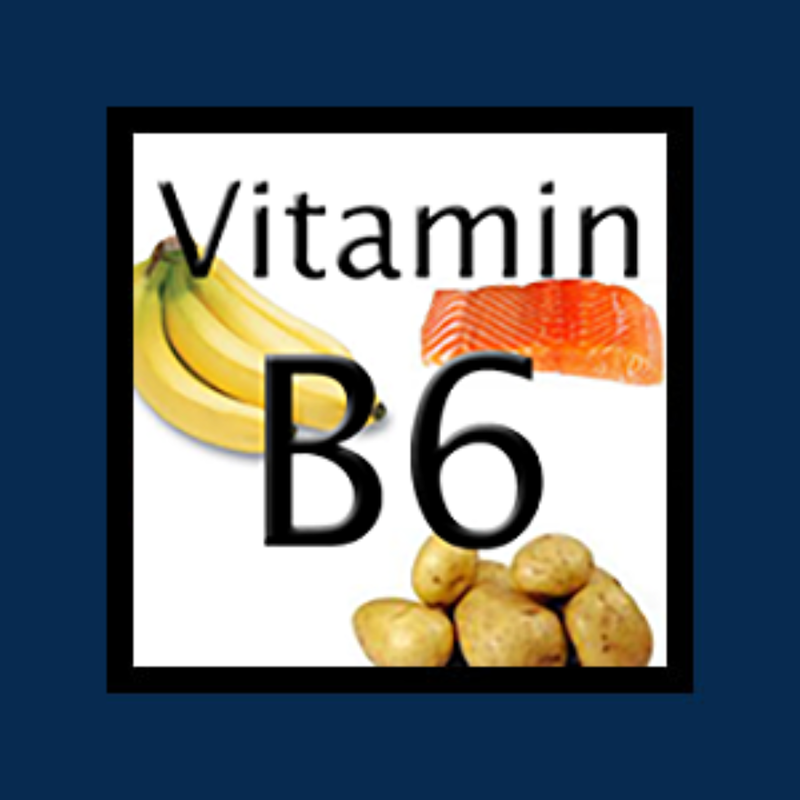 Why do you need Vitamin B6 (Pyridoxine)? Pyridoxine is required for more than one hundred enzymes involved in protein metabolism. When pyridoxine enters the body, it is converted into a coenzyme called pyridoxal phosphate. However, this conversion is dependent on the aid of another “B” Vitamin, Vitamin B2 (Riboflavin). It is actually this form of pyridoxine that is used in protein metabolism which is crucial to our health. Pyridoxine is a necessary co-factor in the conversion of tryptophan (an amino acid) into niacin. Without available pyridoxine, classic pellagra (niacin deficiency) occurs. Niacin is used to produce nicotinamide adenine dinucleotide (NAD) and nicotinamide adenine dinucleotide phosphate (NADP), two of the most important coenzymes within a cell. You can now see how a deficiency of pyridoxine could lead to a domino effect that can negatively impact your health. Pyridoxine is also involved in the formation of important hormones such as adrenalin and insulin. It helps to keep blood glucose (sugar) levels in a normal range. When blood glucose levels are low, pyridoxine is needed to convert stored carbohydrates into glucose, which returns blood glucose levels to normal. Finally, pyridoxine is also a necessary component for the synthesis of DNA and RNA and is required by the nervous system for normal brain function. Conditions Related to Vitamin B6 (Pyridoxine) Deficiency? Vitamin B6 (pyridoxine) is a water-soluble vitamin and unlikely to reach toxic levels as your body simply eliminates what it cannot use. Mega-dose ranges are from 250 mg. to 3000 mg.; however, the lower doses of 300 – 500 mg. are more typical. Note: There has been controversy surrounding supplementation of pyridoxine and the development of peripheral neuropathy. Unfortunately, not all of the information surrounding the controversy has been publicized. The dosages that were blamed for neurological problems were in the range of 2000 mg. – 6000 mg. per day, much higher than the standard “mega-dose” of 300 – 500 mg. It should also be noted that even after these extremely high mega-doses, the peripheral neuropathy cleared within a year. Of course, such doses are not the norm and should only be implemented with professional supervision.